Levin was the Stephen King of the 1960s and 1970s. He had a knack for turning absurd plots into realistic horrors, and like King, most of Levin's major works have been made into movies. His novels include This Perfect Day, Rosemary's Baby, The Stepford Wives, A Kiss Before Dying, The Boys from Brazil, and Sliver. His plays include Deathtrap, No Time for Sergeants, Critic's Choice, Footsteps, Dr. Cook's Garden, Cantorial, and Veronica's Room. Levin was born in the Bronx, and as the family's toy business prospered his family relocated to the Upper West Side of Manhattan when he was 13. He went to college and earned two BAs at NYU, but his father wanted him to join the family's toy business. They worked out a compromise: after graduation, Ira could write without worrying about making a living, because his father would support him -- for two years. If the writing couldn't pay his bills, he would have to work for his father. In 1949, CBS ran a contest for original teleplays, and Levin's entry was called "The Old Woman". It told the story of an old lady's murder, as plotted by her nephew and nurse, but in the end the old lady outsmarts her would-be-killers. 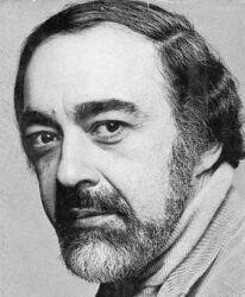 Levin got second prize, $200, and later the same script was bought by NBC for $400, and filmed as an episode of that network's mystery-thriller anthology, Lights Out. Levin never worked in the toy business. Levin's first play was No Time for Sergeants, a comedy about a hillbilly backwoods boy inducted into the military. Andy Griffith played the lead in the film adaptation, and a few years later a sit-com spinoff called Gomer Pyle, USMC made Jim Nabors whatever Jim Nabors is. His first novel was A Kiss Before Dying, published in 1953. It's a remarkably well-constructed book, telling its story in three parts, from three different characters' perspectives. It's been filmed twice -- faithfully in 1956 (Robert Wagner) and wretchedly in 1991 (Sean Young). Levin's second novel, published 14 years later, is his most famous work: Rosemary's Baby, in which an average couple find new friends among devil-worshippers. The book was a huge best-seller, and the film, starring Mia Farrow and John Cassavetes, made Roman Polanski's career. The Stepford Wives, about automatons in suburbia, has been filmed twice and sequelized twice for television. The 1975 film with Katharine Ross and Tina Louise was genuinely scary, while the 2004 remake with Nicole Kidman and Matthew Broderick heightened more of the book's underlying humor. Deathtrap, a comedy-thriller by Levin, ran four years on Broadway, and was crisply done for the cinema by Christopher Reeve and Michael Caine. In Levin's play Dr. Cook's Garden, the friendly doctor in an idyllic Vermont community has been pruning more than just his garden. Bing Crosby played Dr. Cook in a pretty good TV movie, way back in 1971. Levin's next novel was This Perfect Day, a subversive science-fiction story set in a future where disease, deformity, discrimination and all other societal ills have been cured, and everyone's immunized every week. Remarkably, This Perfect Day has never been filmed, and these days it's probably too radical for Hollywood to try. In 2007, after the New York Times reported that students at Wilton High School in Wilton CT had been prohibited from staging an original play because its war theme was deemed "controversial", Levin wrote a scathing letter to the editor of The Times: "Wilton, Conn., where I lived in the 1960s, was the inspiration for Stepford, the fictional town I later wrote about in The Stepford Wives. I'm not surprised ... that Wilton High School has a Stepford principal."